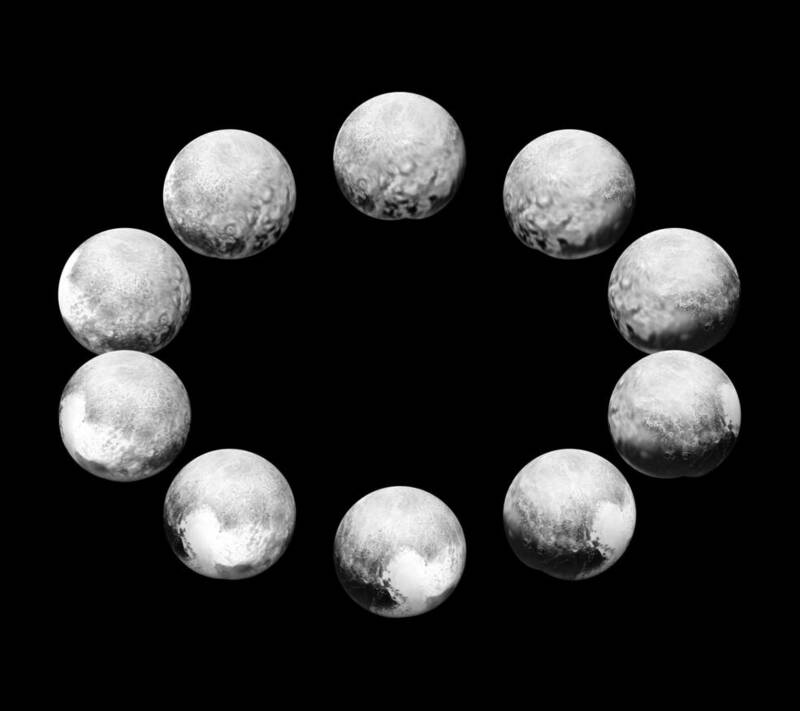 November 20, 2015 – Pluto’s day is 6.4 Earth days long. 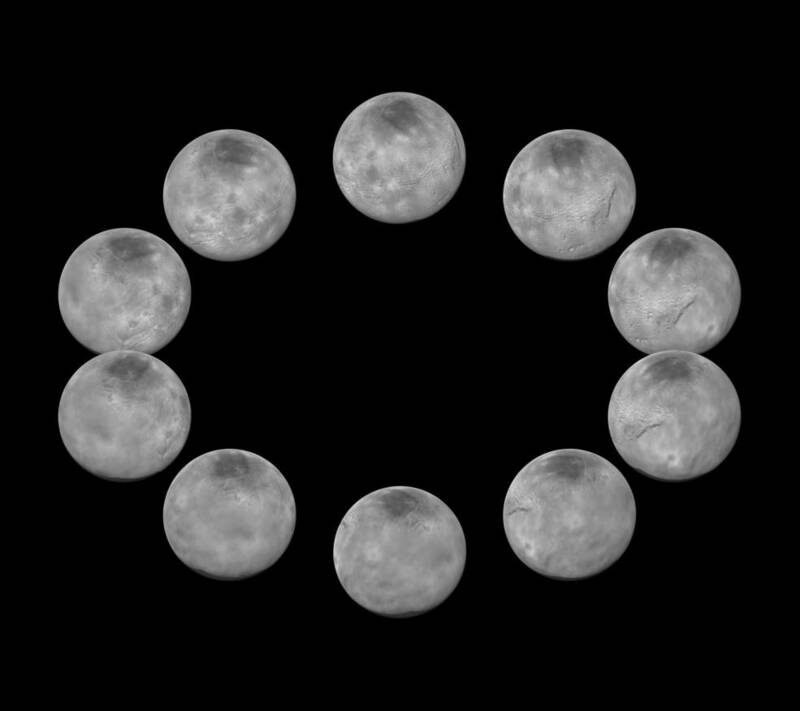 The images were taken by the Long Range Reconnaissance Imager (LORRI) and the Ralph/Multispectral Visible Imaging Camera as the distance between New Horizons and Pluto decreased from 5 million miles (8 million kilometers) on July 7 to 400,000 miles (about 645,000 kilometers) on July 13. The more distant images contribute to the view at the 3 o’clock position, with the top of the heart-shaped, informally named Tombaugh Regio slipping out of view, giving way to the side of Pluto that was facing away from New Horizons during closest approach on July 14. The side New Horizons saw in most detail – what the mission team calls the “encounter hemisphere” – is at the 6 o’clock position.